Yes I have this card! Is it fee free for outside the EU? If Nationwide Select gets a mention, Natwest Reward certainly deserves one… 1% at supermarkets (11% at Sainsburys this month!) and 0.5% elsewhere, paid in to rewards which can be paid in to your account as cash on demand when you reach £5 worth. Combined with the current account it’s an excellent proposition. Rob, I know you don’t like Revolut card, but now with free credit card top up treated as purchase (used to be 1% Fee). Would you consider it again? It has been working great withdrawing cash from my IHG Premium Card. WeSwap is bringing in a credit card option so we might look at these together. Forgot to mention, it’s free to get the first Revolut card until Sunday 11 March. Could I use revolut to withdraw € or US$ free of charge in one of those Travelex ATMs at Heathrow T2? Does anybody know if these ATMs charge any fees or if they use the dynamic currency conversion? For above, somebody has to pay for that withdrawal, especially from prime airport location Travelex ATM..
Why don’t you withdraw € or US$ from a normal bank at your destination. Euro withdrawals most definitely free across most EU locations/banks. It used ot be free in the US at machines at Publix supermarkets. Is that no longer the case? Interesting, didn’t realise it had gone fee-free to top up via CC at both Revolut and credit card end (I was worried it’d appear as a purchase). I need to fly to HK and Beijing in April with my partner. I’ve obviously missed the £2018 for 2 BA Chinese New Year deal, what’s the best way to do it Business Class (any airline) at the moment? Are there any good deals on? If you’re willing to position, try AMS-LHR-HKG on BA or DUB-L(HR / GW? )-HKG on VA – I’ve had good success with sub-£1200 business fares on both when I’ve needed to travel. Nationwide Select is a Visa. Mastercard has more favourable FX exchange rates. We’ve had a Santander ZERO card for many years. It was withdrawn for quite some time but is now available again. No FX fees and we’ve always had great exchange rates. I can also monitor it in my banking app. Ease of use and good service overcomes 0.5% for me. They do have some decent introductory offers for new applicants [25% off in places] and I don’t work for ’em! I’m currently using the card while on holiday in the US and have been a customer since November. The app gives you the Sterling value straight away on overseas spend (no FAX fees). 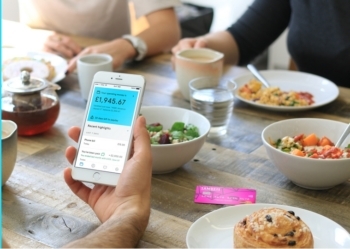 The app is also helpful for managing other bank accounts (open banking). The credit card cash back is also paid monthly rather than annually like most cards. I recommend Tandem. Anyone know why they don’t accept signups from Northern Ireland? Nothing on the web site on why. I must admit, as I spend a fair amount in the ROI I’m slightly miffed! Belfast Biscuit- I have emailed Tandem to ask if the card is available to Northern Ireland residents. Here is the email reply which I received from Tandem -hopefully this means that it will be available soon to Northern Ireland residents. We did not have the technology we needed to include Northern Ireland which meant us not being able to successfully identify. It would just potentially have led to a paper/post journey of certifying documents that we do not wish to put our customers through at this stage if we can avoid it. We have currently updated our methods which will now allow residents of Northern Ireland to apply for our credit card with the same likelihood of approval as any other UK resident. This will soon be reflected on our eligibility criteria on the website. Please keep an eye out on our website. Cheers Fastbowler – I’m definitely going to apply now! OT – https://www.msn.com/en-gb/money/news/lego-is-drowning-in-bricks-and-its-sales-are-sinking-too/ar-BBJW91b?li=AAmiR2Z&ocid=spartanntp – is this why all the lego/clubcard point offers, I wonder? Is the 0% FX fee also apply on Lloyds Avios Amex or only for Lloyd’s Master card? Another reason why the cards are not profitable along with the 2 years interest free! I have Etihad points that expire in April/May. Could I book flights and then cancel to get the points back to my account but with a longer expiration date? Is this Barclaycard a slightly better deal? 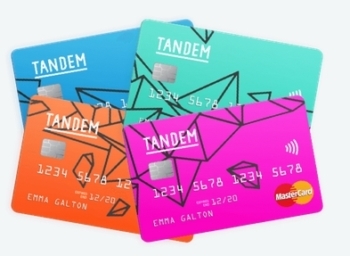 Tandem charges interest as soon as withdrawal is made – whereas this gives you a period of time in which to pay. A curiosity last night as I was using the Tandem card to pay for a sterling transaction online. I got a message saying in effect that they could see my card was a US card and I could choose to pay in ‘my own currency’ (USD! ), at their rate, of course. Of course, I continued and paid in the ‘original currency (GBP).